The main experimental research activity of the department is focused on lubrication for aero-engines especially with participation in the European projects ATOS, ANTLE, POA, ELubSys, LubSEP, ACOC-TH, LuBest and E-Break. A test bench intended to duplicate all possible working conditions inside the oil lubrication system of aircraft gas turbine engines has been designed, built, validated and even, for some functions, certified within the department in collaboration with Techspace Aero (Safran group). This test bench is designed to test the externals of the gas turbine engine oil systems but mainly the lubrication pumps, even with polluted oils. The very high modularity of this test bench recently allowed adaptations to be made to test Air/Oil separators, injectors and to perform Health Monitoring studies. The following video shows the different lubrication test benches developed at the ATM department. 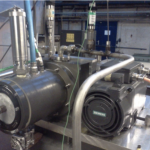 One element thoroughly studied on the lubrication test bench is the pump. 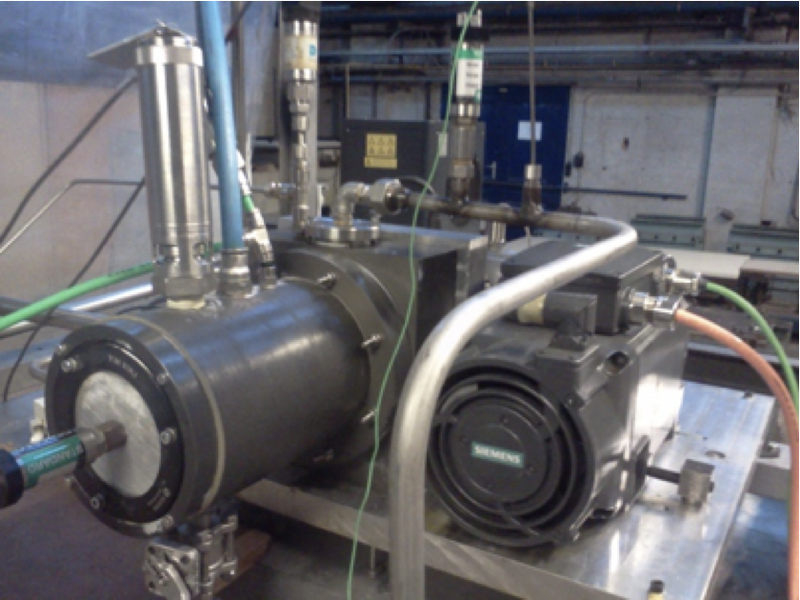 Several volumetric pumps are installed on an engine oil system to feed the injectors and to scavenge the cavities. The pumps studied in the department are gerotor and the focus is set on volumetric efficiency. Cavitation and out-gassing phenomena are the most critical during pump operation and are of particular importance in study conducted in the department. Pumps are tested in all the operating conditions encountered during the flight and either with only oil or a mix of oil and air. In the frame of the European FP7 E-Break project, the Aero-Thermo-Mechanics department of ULB collaborates with French aircraft engine manufacturer SNECMA to perform work on the characterization on oil sealing components for bearing chambers in lubrication systems. Specifically, the work is focused on brush seals, since this technology already provides tremendous leakage performance for air sealing systems. 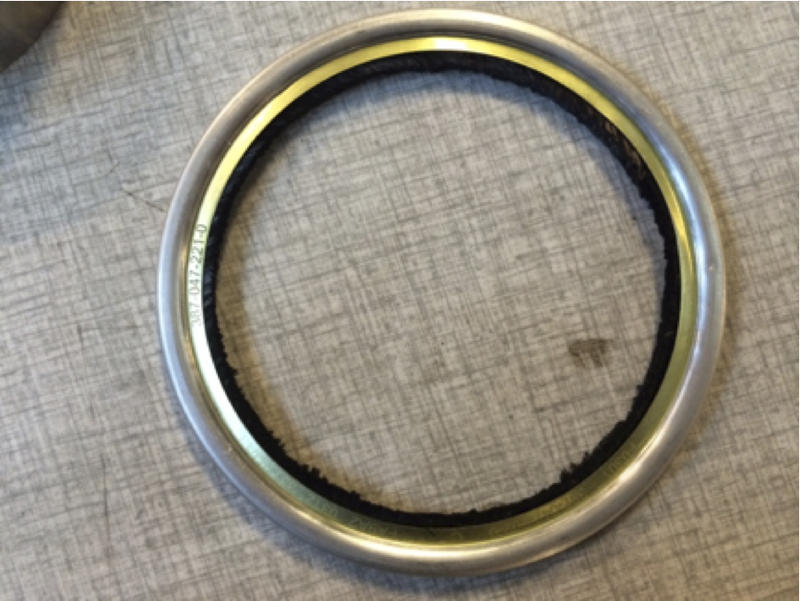 The use of brush seals instead of commonly used labyrinth seals improves the engine propulsive efficiency, and reduces considerably the oil leakage from the lubrication system, and maintenance costs. 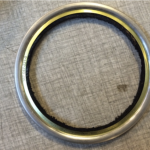 However, the use of brush seals in such an environment arises many questions related to the brush seal behaviour in contact with high temperature lubrication oil, mainly about performance, wear and oil coking issues. The ATM02 test bench is currently being developed in order to reproduce realistically the same working conditions as encountered in aero-engines. An experimental investigation is currently performed to evaluate the performance and endurance of brush seals at high temperatures, pressures, and rotation speeds. The modularity of the test rig allows testing of different rotor diameters and materials, and extends its use to other types of seals. A system able to simultaneously separate and pump a gas-liquid mixture was developed. It works efficiently and can be used in many applications (nuclear power plants, pulp and paper processing, petroleum extraction, etc.). However, this pump and separator system (PASS) was especially designed to handle air-oil mixture generated in aero-engine lubrication systems. The PASS combines three important functions of the scavenge part of the lubrication system: the deaeration and deoiling of the air-oil mixture generated in the bearing and gearbox sumps and the pumping of the oil towards the tank. These are critical functions for the engine. Indeed, a poor deoiling efficiency leads to a high oil consumption. This reduces the flight endurance, increases the size and weight of the oil tank and has a negative impact on the environment. Poor deaeration and pumping characteristics lead to problems in the cooling and the lubrication of the engine bearings. The research in this area focuses on the oil-air flows (granulometry, flow maps, etc. ), on the oil consumption measurement with advanced techniques (radio-traced oil consumption measurements) and the deaeration efficiency. These development help to optimize the PASS.